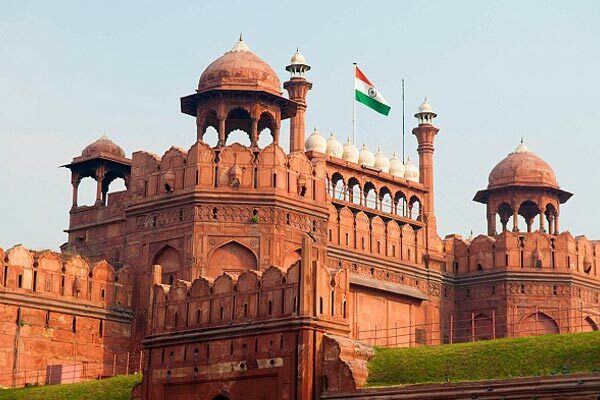 The Lahori Gate is the main entrance to the Red Fort in Delhi. The fort is approached through a covered street flanked by arcaded apartments called the Chhatta Chowk. 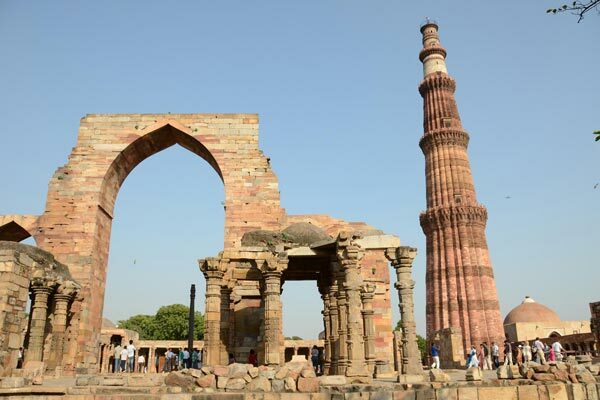 The Qutub Minar is a minaret that forms a part of the Qutab complex, a UNESCO World Heritage Site in the Mehrauli area of Delhi, India. 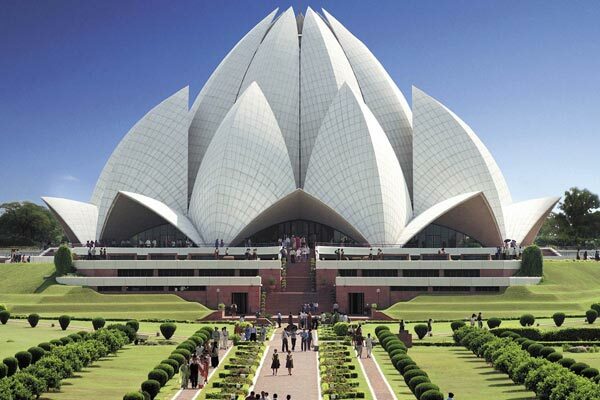 The Lotus Temple, located in Delhi, India, is a Baha House of Worship that was dedicated in December 1986, its building cost $10 million.